The next public talk I will be conducting is titled "Learn Basic Stargazing Skills". Participants will be taught practical stargazing skills they can use immediately after the talk and in the process understand astronomical concepts like light years, magnitude, naming of stars in constellations, apparent size of objects, ...etc. A3-size printed star maps will also be distributed. 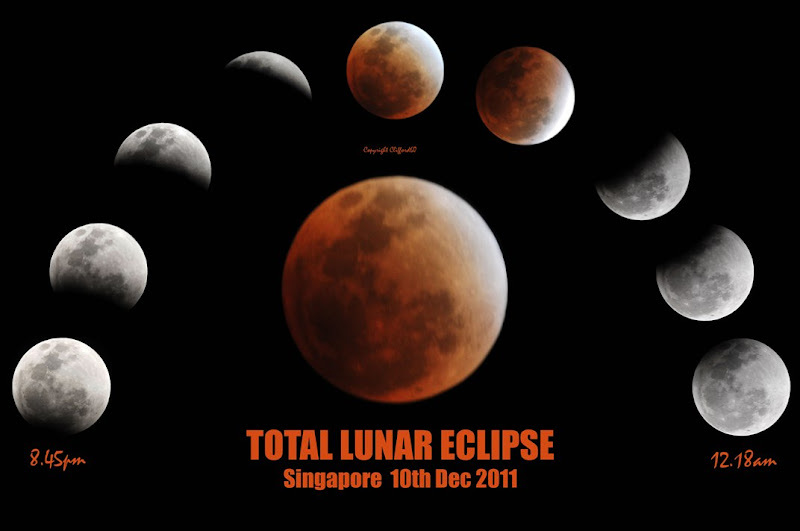 The last part of the talk will be about how the Super Moon of 2013! Happening on full moon this coming Sunday 23 June. Weather permitting, during/after the talk, they will be an impromptu live stargazing session at open space just outside the library. We can observe the Moon and Saturn through telescopes! So bring your family and friends along and acquire skills that we enable you to enjoy stargazing for the rest of your life! To help newcomers overcome their initial fear of spending money on a new hobby which they may regret later, I would like to loan my Celestron Firstscope 76mm for free to any newcomer without a telescope. (1) This is my own telescope and private non-profit initiative. As such, this initiative is not affiliated or sponsored by the Celestron company or any other company or organisation for that matter. (2) DO NOT look at the Sun with this telescope. I am not responsible for any accident or damage due to the use of this telescope. (3) This is NOT my endorsement of this telescope or design as the best beginner telescope. There is no such thing as a best telescope anyway. Different people have different expectations of telescopes. (4) This telescope is selected mainly because it is something easy to use, very portable, have decent light gathering ability and something that I am comfortable with loaning out to newcomers from my personal collection of telescopes, bearing the full risk and cost of any potential damage by its future users. (5) The 2 telescope Huygens eyepieces will be replaced with 3 or more better quality ones of Plossl design. (6) A small dry box or zip-locked bag will be provided for storage purposes. (7) Brief training will be provided in person during collection of telescope. (8) Loan Period = 7 days per person or family. Absolutely free of charge. Users will not be penalised for any damage done to the telescope during its use. First come first served basis. (9) Collecting and returning of telescope at Toa Payoh area. (10) Base of my faith on the goodwill of the majority of loaners, 99% of all requests will be approved. But I reserved the right not to loan to those whom I find unsuitable. (a) Only for those who does not own a single telescope. 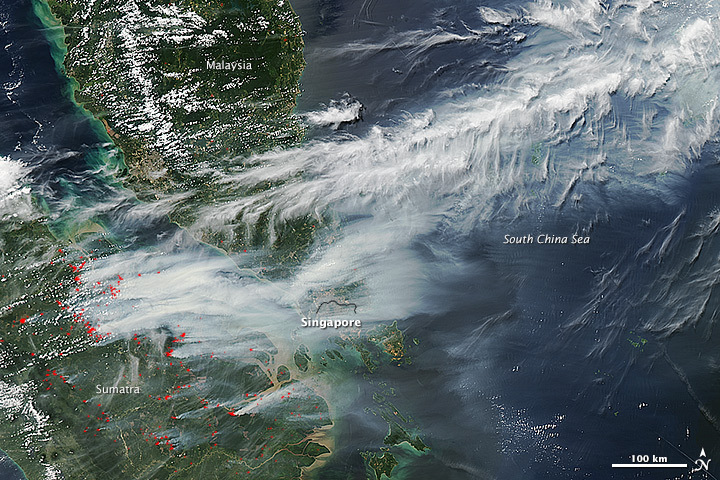 (b) Anyone currently residing in Singapore with a contactable phone number and address regardless of race or religion. (c) Age = 8 years and above. Young children must be accompanied by an adult during brief training during collection of telescope (about 30 minutes). (12) Loaners of this telescope are not allowed to use it directly or indirectly to generate financial profit or conduct any illegal or immoral activities. (13) Depending on the popularity of this initiative, the mechanics may be tweaked every now and then and updated in this webpage. For example, extending the loan period or adding more astro gear like better telescopic accessories or binocular. Ok. Now that I have finished all the "serious" announcements, I just wanna say it is really fun to explore the Universe with this telescope! 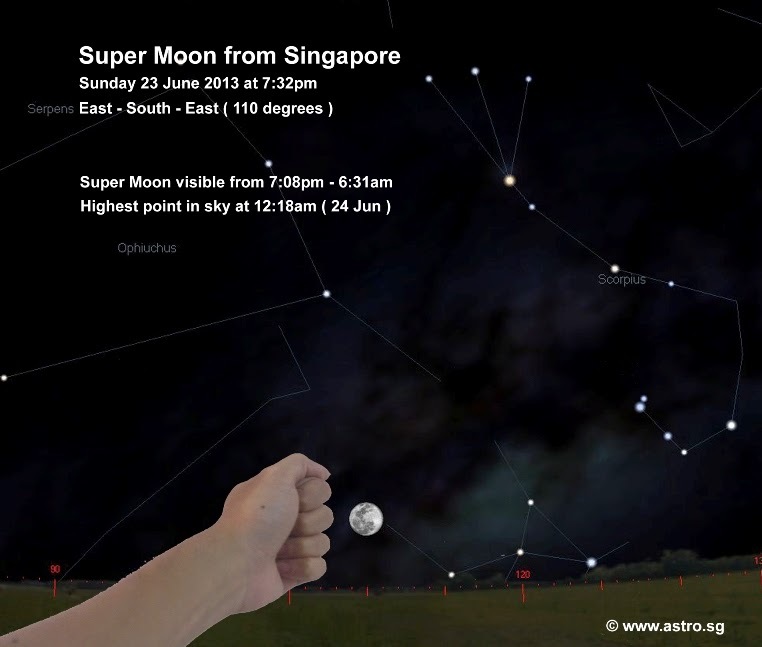 On clear enough nights, you can see the craters of the Moon, rings of Saturn, colourful stars and bright star clouds! 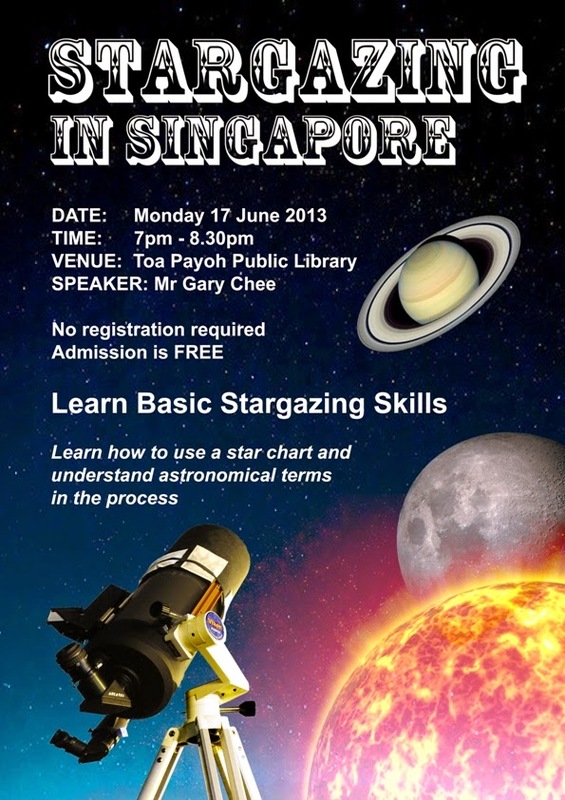 So if you are interested and eligible, send me an email now at gary@astro.sg ! Feel free to email me if you have further queries.